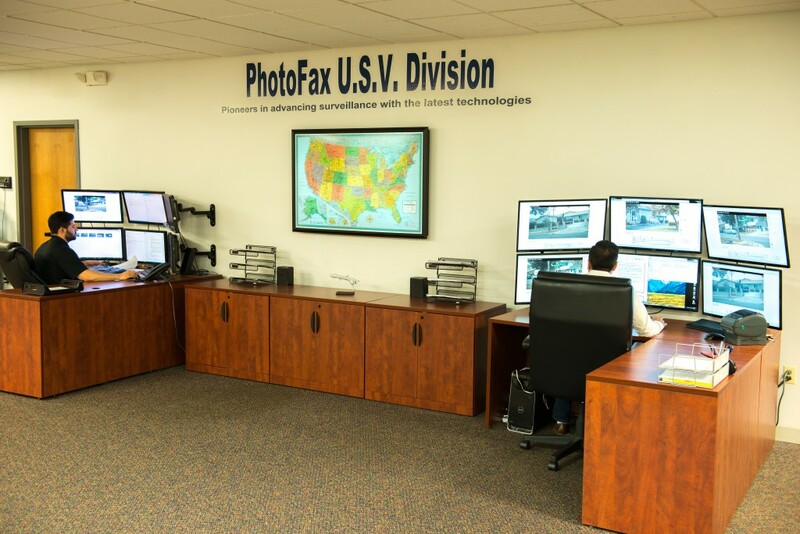 Unmanned Surveillance Vehicle - Photofax, Inc.
PhotoFax is on the cutting edge of technology being the first investigation company to utilize Remote Surveillance nationwide. With the use of Unmanned Surveillance Vehicles (USV’s), we are able to discreetly surveil (and record) a subject for 24 hours per day for 5 to 7 days continuously. These stationary, non-intrusive vehicles are remotely operated and monitored by licensed investigators from our corporate office. This technology gives us the ability to view the subject in real time and allows us to conduct full scale investigations anywhere in the United States. Not only can we view the camera from our corporate office, but we also have the ability to pan/tilt/zoom and update the clients in real time. The U.S.V looks like any other vehicle parked in a neighborhood. It is impossible to tell the difference between our U.S.V and any non-surveillance vehicle. We are the only company that has national coverage with our U.S.V. so we can get results where our competition simply can’t. PhotoFax Live is now available for any U.S.V. case assigned. PhotoFax Live is the first program that allows a client to view and experience their case in real time. Ask about PhotoFax Live when assigning your U.S.V. investigation to learn more.